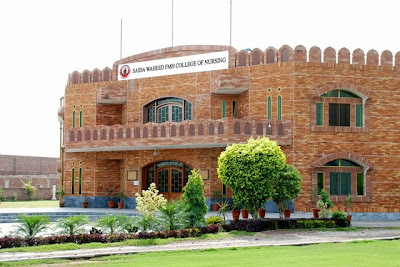 Fatima Memorial College of Medicine and Dentistry is a private institute that is affiliated with UHS and is recognized by PMDC (Pakistan Medical and Dental Council). Q.1: What are the programs offered in FMH? Plus they also offer diploma is some courses. Q.2: What is the eligibility criteria for applying in FMH? In order to apply for MBBS, BDS or DPT the candidate must have atleast 60% marks in FSc or equivalent. For other B.Sc programs the candidates must have 50% marks in FSc or equivalent in order to apply. Q.3: Who can apply in FMH? All the candidates irrespective of their citizenship/domicile can apply provided they have appeared in MCAT held by University of Health Sciences Lahore or they have passed the SAT-II exam with a minimum score of 550 in each of the three subjects i.e Biology, Chemistry and Physics. Those of the applicants whose medium of study was not English at intermediate level or equivalent are required to appear in the TOEFL or IELTS. Candidates with BSc or higher qualification can also apply in FMH provided they have appeared in MCAT and fulfill the general rules of admissions laid down by the university. Q.4: What is the merit criteria of FMH? In 2012, merit of MBBS/BDS closed on about 76%. Q.5: What are the number of seats for MBBS and BDS in FMH? There are 150 seats for MBBS and 75 for BDS. Q.6: What is the fee structure of FMH? Q.7: Which documents are required at the time of applying for FMH? Q.8: How to Apply in FMH? Prospectus for Admission in MBBS/BDS are available from September 1, 2014 and can be purchased from FMH College of Medicine and Dentistry, Lahore.Pay Rs.4000 if you want to apply in one program (MBBS or BDS) or Rs. 8000 if you want to apply in both. Visit this link to fill the admissions form: apply online for fmh . Q.9) What is the paper pattern of FMH?